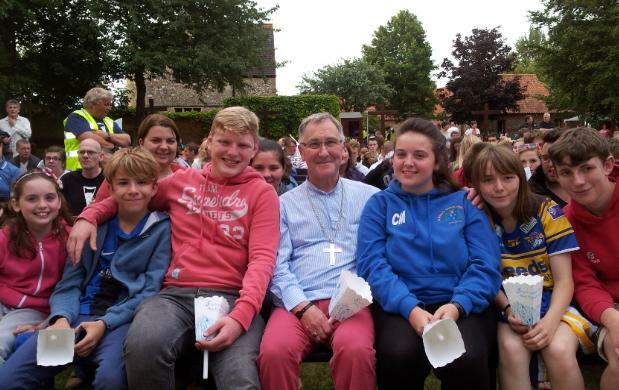 Bishop Glyn wishes to put on record just how much he enjoyed his first attendance at the Walsingham Youth Pilgrimage. He writes, “It was great to see so many young people from across the broad spectrum of the Church of England and beyond (there was a big Swedish contingent). It was a real joy and privilege to worship with so many young people in such a lively way. I came back greatly refreshed and hugely encouraged by the clear commitment on the part of so many young people, though my feet were rather the worse for wear having walked the Holy Mile barefoot for the first time since I was a teenager! My prayer for the young pilgrims is that as they return home they were likewise refreshed and encouraged to continue their pilgrimage through life as enthusiastic disciples of Christ. See Bishop Glyn’s photos here. See Archbishop of Canterbury's reflections here and here. See photos from the Shrine here. I am delighted by the news that Father Jonathan Goodall has been appointed as next Bishop of Ebbsfleet. I am sure that he will serve in his new role with great distinction, for the good of the Church and the glory of God. I am looking forward to welcoming him into the little team of PEVs. However, we are part of a bigger team of Catholic Bishops who are seeking to maintain the Catholic tradition within the Church of England. I hope that Fr Jonathan will help us to in our endeavours to continue to maintain an honoured and secure place in the Church of England, in order we may flourish within life and structures of the Church which we love so much, and to which we are solidly committed. 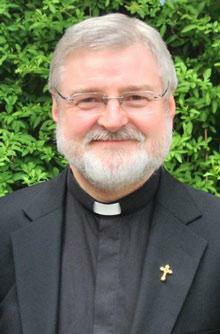 I will be praying much for Fr Jonathan as he prepares to take on his new role. I am looking forward to serving with him as a brother Bishop.